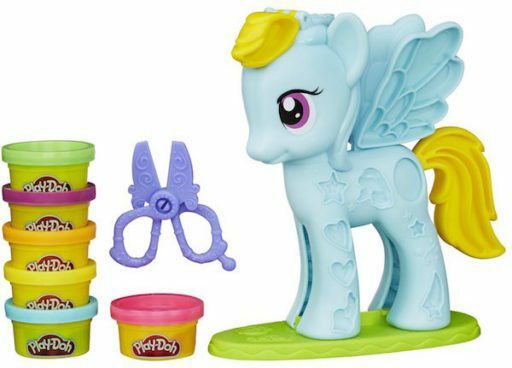 Play-Doh My Little Pony Rainbow Dash Style Salon Playset Only $5 (Was $17)! You are here: Home / Great Deals / Amazon Deals / Play-Doh My Little Pony Rainbow Dash Style Salon Playset Only $5 (Was $17)! Don’t wait to get this fantastic deal! Order the Play-Doh My Little Pony Rainbow Dash Style Salon Playset for Only $5 (Was $17)!